IAGA COUNSELORS are appointed to support the programs and goals of the International Association of Gaming Advisors, to preserve the experience of the members, and to stimulate the interest and support of other executives involved in the gaming industry. 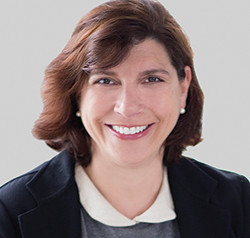 PATRICIA BECKER is the President of Patricia Becker & Associates, a gaming consulting firm that specializes in compliance and regulatory issues. In addition, she currently serves as chair of the compliance committee at Bally Technologies, Inc. and at Tropicana Entertainment, Inc. Becker holds the distinction of being the first and only woman to serve on the Nevada Gaming Control Board. She recently served as executive director and Boyd Distinguished Professor of UNLV International Gaming Institute. BILL BOYD co-founded Boyd Gaming Corporation in 1974 with his father, Sam Boyd. A practicing attorney for 15 years, he turned his attention to gaming full-time in 1975. He has since developed and operated Boyd Gaming properties in major markets throughout the United States, including multiple locations in Nevada, New Jersey, Illinois, Indiana, Iowa, Kansas, Louisiana and Mississippi. SEN. RICHARD H. BRYAN, a former U.S. Senator for Nevada, is a director at Fennemore Craig. His practice focuses on government relations at the federal, state and local levels, particularly in the area of public land use issues. Senator Bryan began his legal career in 1964 as a Deputy District Attorney in Clark County, Nevada and two years later was named Clark County's first Public Defender. In 1968, Senator Bryan was elected to the Nevada State Assembly and re-elected in 1970; he was elected to the State Senate in 1972 and 1976. He won his first statewide election as Nevada's Attorney General where he played a major role in successfully defending Nevada's gaming regulatory structure in the federal courts. BILL CURRAN represents gaming interests in a variety of capacities and serves on the compliance committees of a number of national and international gaming companies. The long-time chairman of the Nevada Gaming Commission and the first chairman of the International Association of Gaming Regulators, he played a key role in founding the International Gaming Institute at UNLV. He is active in numerous public service activities, including serving as president of the Nevada State Bar, Vegas PBS and the Nevada Legal Services federally funded program for indigents. 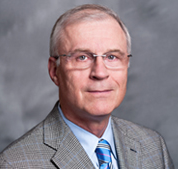 He has received numerous honors for pro bono representation of abused and neglected children. FRANK FAHRENKOPF is a lawyer by profession and gained national prominence during the 1980s when he served as chairman of the Republican Party for six of President Ronald Reagan's eight years in the White House (1983 to 1989). When he retired in January 1989, he had served as chairman of the Republican National Committee longer than any person in the 20th century (and second-longest in the history of the party) and led the party through two successful presidential campaigns in 1984 and 1988. JOHN A. GODFREY is former Executive Vice President, Secretary and General Counsel of Pinnacle Entertainment, Inc., a diversified, publicly traded gaming company. Jack retired from Pinnacle on June 30, 2016 after almost 14 years of service. Prior to joining Pinnacle, he was a Partner of Schreck Brignone Godfrey from January 1997 to August 2002; a partner with Schreck, Jones, Bernhard, Woloson & Godfrey from June 1984 to December 1996 as well as Chief Deputy Attorney General, Nevada Attorney General’s Office, Gaming Division from 1983 to 1984. JULIAN HARRIS is recognized as a leading expert in national and international gambling and licensing law and is highly regarded by both operators and regulators throughout the world. He and John Hagan are the founder partners of Harris Hagan, the first and only UK law firm specialising exclusively in legal services to the gambling and leisure industries. He, John and other members of the firm have been at the forefront of advising UK and international operators alike on the opportunities presented by the UK Government’s major reform of gambling law. A.J. “BUD” HICKS is one of Nevada’s most experienced gaming attorneys. His primary areas of practice are gaming law and related corporate, litigation, and transactional matters. His client's include many Nevada gaming operators, equipment suppliers, and Nevada’s largest Native American gaming operation. He has represented publicly traded gaming companies, as well as many privately owned establishments and their owners on gaming matters within the State of Nevada and in other jurisdictions. GAVIN ISAACS was appointed to the position of President and Chief Executive Officer of Scientific Games in June 2014. In this role, Mr. Isaacs is focused on improving the Company’s performance and growth through the development of innovative products and services to help lottery and gaming customers grow their businesses, the completion of the WMS integration, and enhancing stockholder value. Mr. Isaacs is an accomplished gaming industry executive with more than 15 years of leadership experience. YVETTE E. LANDAU has been a principal of W. A. Richardson Builders since 2005 which provides general contracting and construction management services to the casino resort industry. From 1996 until its sale to MGM Resorts in 2005, she was the General Counsel and Secretary of Mandalay Resort Group, the operator of 17 casino resorts across the US. She currently serves on the board of directors of the Margaritaville Resort Casino in Bossier City, Louisiana and on the board of Monarch Casino & Resorts which owns the Atlantis Casino Resort Spa in Reno and the Monarch Casino in Black Hawk, Colorado. BRIAN LARSON began his career at Boyd Gaming in 1993 as Associate General Counsel and has served as Senior Vice President, General Counsel and Secretary since January 1998. In addition to his responsibilities as General Counsel, Larson also leads the Company’s development efforts. 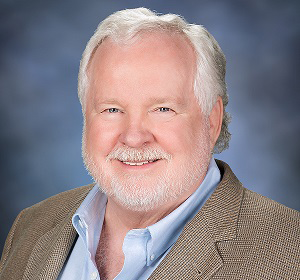 Prior to joining Boyd Gaming, he was a partner at the Phoenix law firm of Snell and Wilmer and also worked for Coopers and Lybrand and Ernst and Young in Arizona as a certified public accountant with a focus on tax and real estate issues. LLOYD D. LEVENSON is Chief Executive Officer of the firm and Chairman of the casino law practice group. He and the firm have been instrumental in developing and implementing all aspects of gaming law, including the newest developments in online or Internet gaming (I-gaming) law, sports wagering legal matters, mobile gaming matters, and pari-mutuel betting issues. DAN M. MCDANIEL, JR. has more than 20 years' experience representing domestic and international gaming clients including casinos, manufacturers, distributors, shareholders, officers, directors, key employees and more. Practicing exclusively in gaming law and chair of Baker Donelson's Gaming Industry Service Team, he represents clients before gaming authorities for licensing, registration, transfers of ownership, patron disputes, investigations, disciplinary proceedings and other regulatory matters. GUY S. MICHAEL graduated from Colgate University with a B.A. in 1970 and from the Georgetown University Law Center in 1974 where he was awarded a Juris Doctorate. He began his long and distinguished gaming law practice during his service as a Deputy Attorney General with the State of New Jersey in its Division of Law beginning in 1974. In 1976, he was appointed to the Governor’s Task Force on Casino Gaming where he assisted in the drafting of New Jersey’s Casino Control Act. GOV. 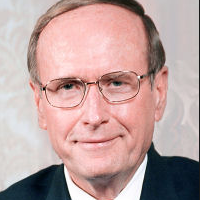 BOB MILLER was the longest serving governor in Nevada history, where he also held several public offices including Lieutenant Governor and Clark County District Attorney. He served as the Chair and Vice Chair of the National Governors Association and on various committees including as Chair for the Center for Best Practices, Chair of the Legal Affairs Committee, and Chair on the Committee on Justice and Public Safety. He also was the Co-lead governor on crime issues and the Lead governor on natural resources. DONNA B. MORE is the managing partner of Fox Rothschild's Chicago office. Donna represents clients in all aspects of the gaming industry - casinos, manufacturers, suppliers and video gaming route operators. She was the first Chief Counsel to the Illinois Gaming Board and is a former state and federal prosecutor. PAUL M. O’GARA is a shareholder in Brownstein Hyatt Farber Schreck’s Atlantic City office. With nearly 30 years experience in gaming law, Paul represents many premier casinos, casino holding companies, financial institutions and investors, as well as those who do business with casinos before the New Jersey Casino Control Commission and other gaming regulatory bodies both in the United States and foreign jurisdictions. MARC H. RUBINSTEIN, a Partner with Reid, Rubinstein & Bogatz, was Senior Vice President, General Counsel and Secretary of Affinity Gaming, a public gaming company based in Las Vegas that owns and operates 12 casinos in four states and provides consulting services to an additional casino resort in Las Vegas. Mr. Rubinstein previously served for more than 18 years as a senior executive and general counsel of Tropicana Entertainment Inc., the Cosmopolitan Resort & Casino, Wynn Resorts, Limited, and the Nevada properties of Caesars World, Inc.–Caesars Palace, Caesars Tahoe and The Desert Inn. MIKE RUMBOLZ is President and CEO of Everi Holdings which owns Global Cash Access and Multimedia Games. He most recently acted as an independent consultant to GCA and was the Chairman and CEO of Cash Systems, Inc., a competitor of GCA’s that was acquired in 2008. Mr. Rumbolz is Managing Director of Acme Gaming LLC, a gaming consulting company and a Director of Seminole Hard Rock Entertainment LLC. He also has served as a Member and as the Chairman of the Nevada Gaming Control Board and is a former Chief Deputy Attorney General of the State of Nevada. FRANK SCHRECK is a shareholder in Brownstein Hyatt Farber Schreck’s Las Vegas office. 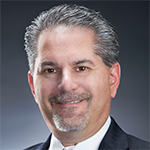 He serves as chair of the firm's Gaming Law Group and has represented public and private gaming companies. With nearly 40 years of experience, his work revolves around licensing matters and all aspects of regulatory compliance. His clients include Apollo/TPG, Caesars Entertainment, Wynn Resorts, MGM Resorts International, Pinnacle Entertainment, Station Casinos, Penn National Gaming, and The Cosmopolitan. TOMMY SHEPHERD is Co-Leader of the Gaming Industry Team of Jones Walker LLP. Tommy represents major casino companies, manufacturers, suppliers, Native American tribes and financial institutions regarding all matters relating to the development, financing, licensing and operation of gaming and resort facilities. His extensive experience in such matters includes public-private leases, financings, land use approvals, statutory and regulatory interpretation and compliance, gaming operations and administrative hearings. JEFFREY A. SILVER, Chairman of the Gaming and Administrative Law Department of Gordon Silver, has been involved in every aspect of gaming, licensing and regulatory law. A former Clark County Chief Deputy District Attorney in the White Collar Crimes Division, he was the resident member in charge of the Nevada State Gaming Control Board Las Vegas office during the State's tumultuous period of developing regulatory oversight and has held numerous other executive positions within the gaming industry. MIKE SLOAN, Senior Vice President of Government Relations, Fertitta EntertainmentMike Sloan holds the title of Senior Vice President of Government Relations and is responsible for local, stateand federal government relations, public relations and all legislative activities involving Fertitta EntertainmentLLC or Station Casinos LLC. Mike served as Senior Vice President and General Counsel with Mandalay ResortGroup (formerly Circus Circus Enterprises) for 20 years as well as serving for many years on the Board of Directorsfor the Nevada Resort Association, including a four-year term as Chairman. PAUL S. WEST concentrates his Baker Donelson practice on gaming law, representing casino owners, operators, suppliers and financiers in all areas of gaming law, from regulatory to transactional to litigation. He also has experience advising local governments on gaming issues. A seasoned commercial litigator, he has handled numerous jury trials involving substantial damages and issues. An adjunct professor at Louisiana State University, he teaches Introduction to Gaming Law at the Paul M. Hebert Law Center.